Not long now til the Easter Bunny comes hop, hop hopping along to your place. 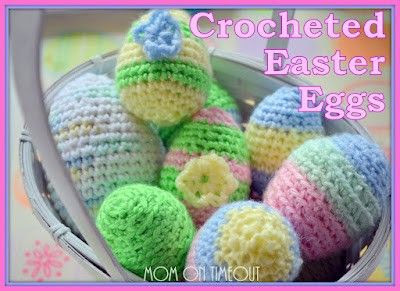 I thought with all the rough weather a few yummy looking easter treats might be the measure. 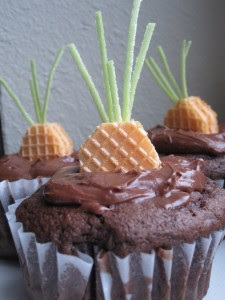 You can make the most delicious Easter cupcakes and jazz them up a bit with a wafer carrot or two. 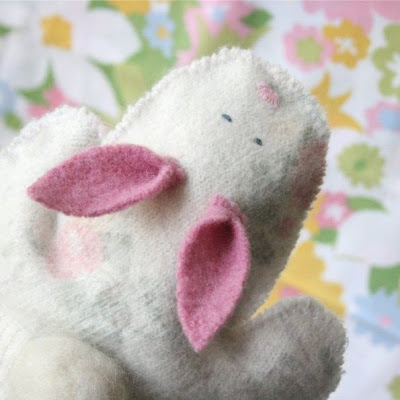 or this cute hand puppet. Just click the link to go to the free tutorial. Cool! Which to make first?